#27. That is where Northern Idaho's Gozzer Ranch recently debuted on Golf Digest's Top 100 Courses in America list. Impressive to say the least considering it is the second highest a course has ever debuted on the revered list that dates back to 1966. It also puts Gozzer Ranch above the likes of Medinah, Bandon Dunes, and Bethpage Black. Director of Golf, Matt Baine, was impressed with the ranking. "The courses mentioned above are all great for their own reasons and we are honored to be included. I feel the success of Gozzer Ranch can be attributed to its uniqueness. Every hole seems to bring something else to the table and after each one you are looking forward to starting the next to see what else can be around the corner." 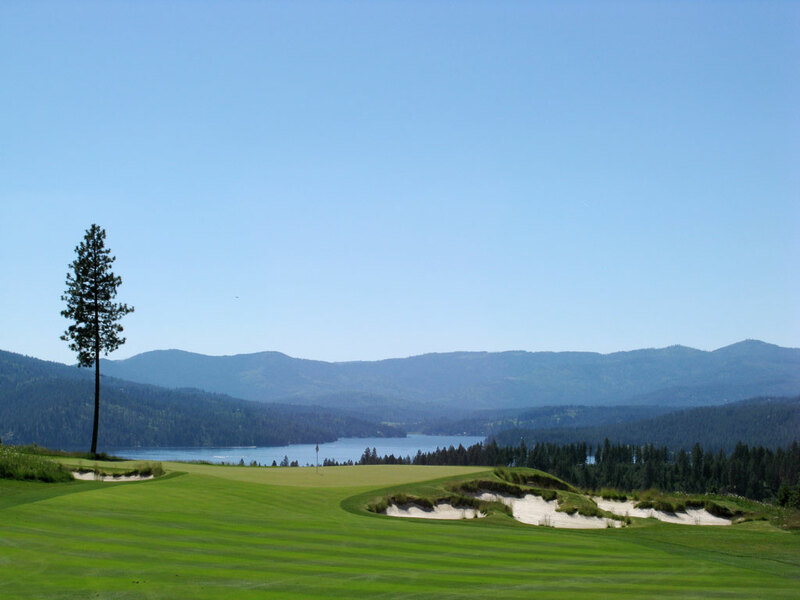 Gozzer's signature hole is the par four 15th which features a lone evergreen tree on the back left side of the infinity edge green that boasts jaw-dropping views across Lake Coeur d’Alene. But it's the 8th hole that Baine enjoys most. "This long 605 yard par 5 starts off with a narrow alleyway about 75 yards long before it opens up to a wide landing area. If you avoid both the left and the right fairway bunkers you might be lucky enough to catch one or two of the downhill swells advancing your ball another 30-50 yards. From there you need to carry a 60 yard long and 15 foot deep crossing bunker. If all that's not enough the shallow elevated green is protected by 2 deep bunkers on the right side. It's a good thing there is no lake view on this hole because it demands all of your attention." 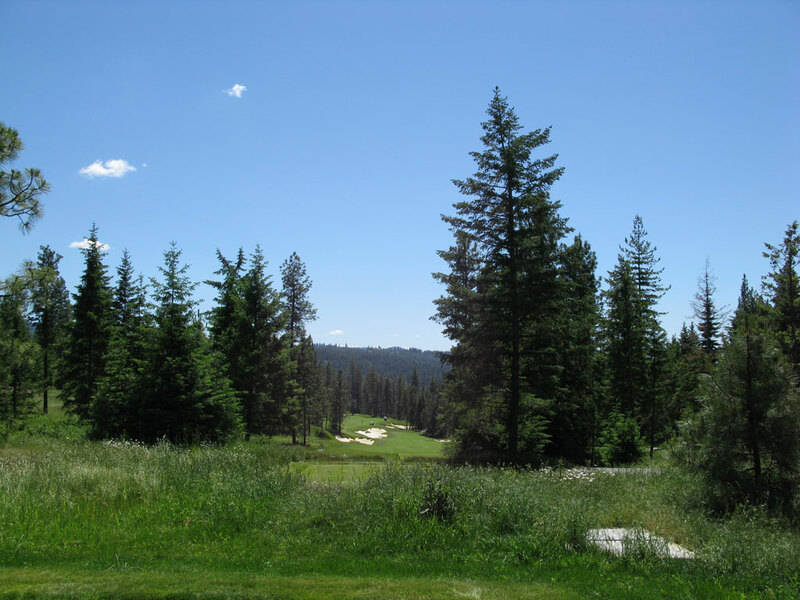 With the perfectly manicured turf, stunning holes, and views that won't quit, it's easy to see why Gozzer Ranch lays claim to being Idaho's finest track. "Gozzer Ranch sits on a bluff overlooking beautiful lake Coeur d'Alene. With ten of the holes having great lake views the property offers a lot more with 50 foot basalt cliffs that appear numerous times throughout the course and stunning vistas of farmlands and mountains to the east. There are narrow tree lined holes where shot making is a must and there are meadow holes that have an open feel as well." If the great golf course wasn't enough, it is the amenities that will keep you coming back for more. Discovery Land, owner of Gozzer Ranch, is famous for their unique onsite services and Gozzer's is as good as I've ever seen. Midway through your round you’ll be greeted by a "comfort station" that boasts homemade jerky, brats, local cheese with crackers, an assortment of snacks and beverages, and my favorite feature . . . Root Beer floats. That's right, Root Beer is on tap inside the comfort station next to the soft serve ice cream machine. And trust me, a 24 oz. mug of Gozzer's timeless classic will have you forgetting about your double bogies in no time! Later in your round you'll enjoy a hot appetizer grilled up by the on-course chef before finding yet another comfort station late into the back nine. While the comfort stations won't be mistaken for a five star restaurant, chances are that the well stocked buildings will have a snack that will fit virtually any craving. Want to see more photos of Gozzer Ranch Golf Club? Click on the link to see just how beautiful this Northern Idaho gem is.